The program for 19th International Symposium on Online Journalism is now available. ISOJ 2018 features more than 60 speakers from around the world who will explain and explore the latest innovations and trends in digital journalism. “We made it again!” said professor Rosental Alves, who has been organizing this unique global conference at the University of Texas at Austin Moody College of Communication School of Journalism since 1999. “An impressive lineup of speakers from the United States and from around the world will discuss once again the impact of the digital revolution on journalism. From blockchain and artificial intelligence to new business models and tools to improve the flow of accurate news, we will keep up with the nearly two decade old ISOJ tradition of being ahead of the curve on trends that affect journalism in the digital era,” Alves said. ISOJ 2018 is possible thanks to the generous support of the John S. and James L. Knight Foundation, Google News Lab, Facebook Journalism Project, Open Society Foundations’ Program on Independent Journalism, Dallas Morning News and Univision News. We’ll kick off the symposium on Friday, April 13, with a keynote panel featuring five prominent media executives who will discuss and debate the question: Are newspapers in a post-advertising era? Jim Moroney, the Chairman, President and Chief Executive Officer of A.H. Belo Corporation, will chair the keynote panel and will be joined by four prominent media leaders who will draw upon their expertise to discuss a topic that has become increasingly relevant in recent years. On Friday, we’ll also explore the search for new revenue streams; tools to improve the flow of accurate information; and how to crack the code for successful video online. Later in the afternoon, we’ll hear from keynote speaker Meredith Artley, senior vice president and editor-in-chief of CNN Digital Worldwide. On Saturday, April 14, we’ll hear from two keynote speakers: Ben Smith, the editor-in-chief of BuzzFeed, and Marty Baron, the executive editor of The Washington Post. Saturday’s panels will dive deep into topics such as how artificial intelligence, augmented reality, blockchain and other new trends are taking shape in journalism; how news organizations are using satire online around the world; how email, an almost 50-year-old technology, has become the next big thing for news organizations; and how podcasts, Alexa, Hey Google and Siri are influencing the media industry. 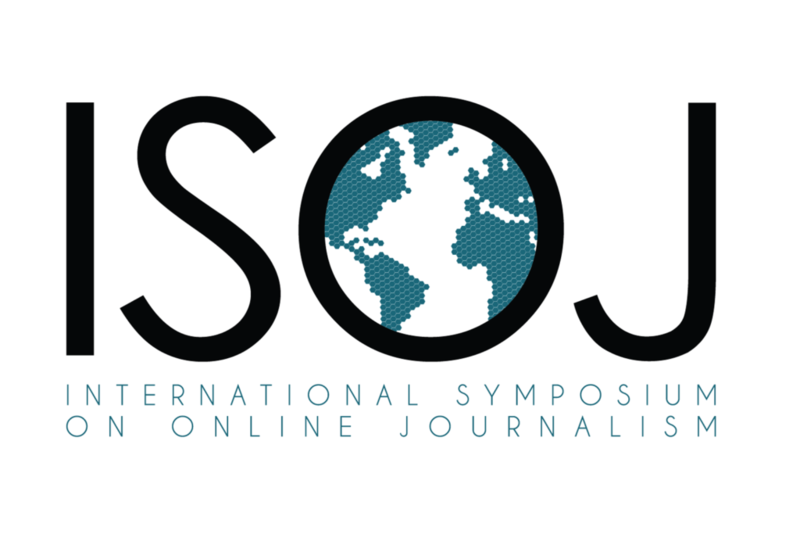 On both days of the conference we’ll also hear from a group of academics who will present new research that chosen in a competitive, blind peer review process and will be published in this year’s issue of #ISOJ, the official journal of the International Symposium on Online Journalism. The program also includes a pre-ISOJ workshop on Thursday, April 12, that will explore prototypes to battle misinformation and trust. The workshop, which is sponsored by the Knight Foundation, will feature talks from the winners of a Knight Prototype Fund Challenge that distributed $1 million for the development of 20 projects to improve the flow of accurate information. Talia Stroud, director of the Center for Media Engagement in the Moody College of Communication at the University of Texas at Austin, will be a keynote speaker. Registration is free, but space is limited. Additionally, Google and Facebook will offer workshops to journalists interested in learning how to better use their platforms and tools. Both training sessions will be held during lunchtime on Friday and Saturday and require registration, as space is limited. The day after the conference — Sunday, April 15 — we will hold the 11th Iberian American Colloquium on Digital Journalism, a conference in Spanish language that was especially created for ISOJ attendees from Latin America, Spain and Portugal. We’ll be posting more details about the colloquium on isoj.org in the coming weeks. Additionally, participants who are staying through Sunday can register for the Tiny Texas Podcasting Fest, a free all-day workshop dedicated to exploring, appreciating and learning about audio storytelling. The event is offered by the Dallas Morning News Endowment for Journalism Innovation at UT Austin Moody College’s School of Journalism. Registration for ISOJ has sold out in previous years, so we encourage you to register as soon as possible if you haven’t already done so. Registration includes breakfast, lunch and snacks and access to a welcome party on Thursday April 12 and a reception at Blanton Museum of Art on Friday, April 13. We have reserved a limited number of discounted group rates for ISOJ attendees at the DoubleTree Suites Hotel and the Hampton Inn, which you can read more about here. In the coming days and weeks, we’ll be adding new updates to the program and publishing stories about each panel on isoj.org. You can also follow our ISOJ hashtag, #ISOJ2018, and our ISOJ Twitter and Facebook pages for more updates.